Enter our Thanks For Giving Giveaway for a chance to win a (2) $125 Amazon Gift Cards.. one for you and one for someone you're thankful for! NO PURCHASE OR PAYMENT IS NECESSARY TO ENTER OR WIN THIS SWEEPSTAKES. A PURCHASE OR PAYMENT WILL NOT INCREASE YOUR CHANCES OF WINNING. VOID WHERE PROHIBITED. 1) Sponsor of Sweepstakes: Check Into Cash, Inc. P.O. Box 550, Cleveland, Tennessee 37364-0550, (“Sponsor”). 2) Eligibility: The Check Into Cash “Thanks for Giving Giveaway” (“Sweepstakes”) is open to all legal residents of the 50 United States and the District of Columbia who have attained the age of majority in the state or district where they reside at the time of Sweepstakes entry. 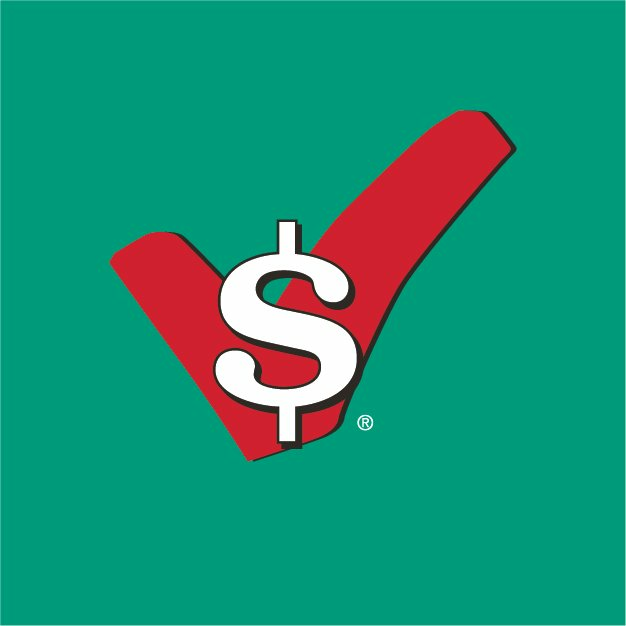 Employees of and vendors to Check Into Cash, Inc., its affiliates and subsidiaries, and employees of Facebook, Inc., Twitter, Google Plus or ViralSweep, their parent(s), subsidiaries, affiliated companies and the immediate family members of each are not eligible to enter this Sweepstakes or win a prize. For purposes of this Sweepstakes, immediate family members are defined as spouse, domestic partner, parents, legal guardians, in-laws, grandparents, siblings, children, stepchildren and grandchildren. This Sweepstakes is subject to all local, state and federal laws and regulations. Limit: One (1) entry per person, per day during the Promotion Period. Any additional entries by an individual will be void. Incomplete or inaccurate entries shall be deemed void. Determination of information to be false or misleading is at the sole discretion of Sponsor. 3) Promotion Period: The Sweepstakes runs for 16 consecutive days and begins at 12:01 a.m. Eastern Standard Time on November 6, 2017 and ends at 11:59 p.m. Eastern Standard Time on November 21, 2017. One entry person. Prize will be awarded from the pool of all eligible entries received in during the Promotion Period. The prizes are not transferable and no substitutions are allowed except by the Sponsor, who retains the right to award a prize of equal or greater value. The total approximate retail value of all prizes combined is $250.00 USD. 5) How to Enter: Complete our online entry form in accordance with the instructions, by clicking the “Enter To Win” button. Entries become property of Sponsor and will not be returned or acknowledged. Automated entries are prohibited, and any use of such automated devices will cause disqualification. Sponsor and its parent(s), affiliates, agents, clients, and/or promotional partners are not responsible for lost, stolen, misdirected, incomplete or late entries, for technical hardware or software failures of any kind, lost or unavailable network connections or failed, incomplete or delayed computer transmissions, which may limit a user’s ability to participate in the Sweepstakes. By participating in the Sweepstakes, each entrant unconditionally accepts and agrees to comply with and abide by these “Official Rules” and the decisions of the Sponsor, including the interpretation of these Official Rules and its exercise of discretion, which will be final and binding in all respects. Any attempt by any participant to manipulate the allowable number of entries by using different identities, registrations, or any other methods will void that participant’s entries and that participant will be disqualified. The Sponsor and its affiliated companies are not responsible for incorrect or inaccurate entry information, human error or technical malfunctions, lost or delayed data transmission, omission, interruption, deletion, defect, line failures of any computer equipment or software or any combination thereof or for lost, late, or misdirected entries or mail. 6) Winner Selection and Notification: The odds of winning this Sweepstakes are based upon the number of eligible entries. Two winners will be selected in a random drawing from among all eligible entries (received each day during the Promotion Period) for each of the Prizes outlined above. The randomly selected winners will be selected after the Promotion Period has expired. Winner selection will take place within 10 days of the end of the Promotion Period. Winners will be notified in writing through the U.S. Postal Service, electronic mail or other ground method delivery method within ten (10) days of such drawing to the street address indicated on the winner’s entry form. Winner can also be notified through electronic means with a valid email address. By accepting the prize, winner consents to use by the Sponsor or those authorized by the Sponsor of his or her name or likeness for advertising and/or publicity purposes without further consideration, except where prohibited by law. The winner may be required to complete, sign and return an IRS Form 1099, W-9, Affidavit of Eligibility, a Liability Release, and where lawful, a Publicity Release within ten (10) calendar days of notification that the winner has won the prize. If winner fails to return the requested and completed documents within ten (10) calendar days, or if the prize is returned to the Sponsor as undeliverable, or if winner is found to be ineligible or otherwise not in compliance with these Official Rules, the prize will be forfeited and an alternate winner may be selected in a random drawing from among all remaining eligible entries. All decisions of the Sponsor regarding the drawing are final. All federal, state and local taxes on the prize are the sole responsibility of the winners. 7) For a copy of these Official Rules, send a stamped, self-addressed envelope to Check Into Cash, Inc., Attn: Marketing Department, P.O. Box 550, Cleveland, Tennessee 37364-0550, or go to http://checkintocash.com/rules-and-regulations/ any time during the Promotion Period. 8) Release and Limitation of Liability: By entering the Sweepstakes, participants agree to release, hold harmless and forever discharge on behalf of the participants, their heirs, executors, administrators, successors and assigns the Sponsor, its parent(s), subsidiaries, affiliates, directors, officers, employees, and related entities and Facebook, Google Plus and Twitter its parent(s), subsidiaries, affiliates, directors, officers, employees, and related entities, (collectively hereinafter, “Releasees”) from all and any manner of action or actions, cause or causes of action, suits, debts, dues, penalties, sums of money, accounts, reckonings, covenants, contracts, controversies, agreements, promises, damages, judgments, executions, claims and demands whatsoever, in law or in equity, that may occur in connection with the receipt, ownership, or use of the prize from or arising out of participation in this Sweepstakes. Releasees assume no responsibility or liability for any error (including human error), omission, interruption, deletion, defect, delay in operation or transmission or loss of data, technical malfunctions, inaccurate entry attempts, online system failures (including but not limited to server or provider issues, computer software issues, and difficulties resulting from internet traffic), theft, destruction or unauthorized access to, or alteration of, entries, any injury or damage to participant’s or any other person’s computer relating, directly or indirectly, to or resulting from participation in this Sweepstakes or downloading any materials in this Sweepstakes. 10) Internet: If for any reason this Sweepstakes does not occur as planned due to issues with a computer virus, bugs, tampering, unauthorized intervention, fraud, technical failures, other causes beyond the Sponsor’s control that corrupt or affect the administration, security, fairness, integrity or proper conduct of the contest, the Sponsor reserves the right, in its sole discretion, to disqualify any individual who tampers with the entry process, and to cancel, terminate, modify or suspend the Sweepstakes. Any attempt to deliberately damage any web site or undermine the legitimate operation of the Sweepstakes will be prosecuted and the Sponsor retains the right to seek damages or other remedies from any such person(s) responsible for the attempt to the fullest extent permitted by law. In the event of a dispute as to the identity of a winner based on an e-mail address, the winning entry will be declared to have been made by the authorized account holder of the e-mail address submitted at the time of entry. “Authorized account holder” is defined as the natural person who is assigned to an e-mail address by an internet access provider, online service provider or other organization that is responsible for assigning e-mail addresses for the domain associated with the submitted e-mail address. 11) Force majeure: The failure of the Releasees to comply with any provision of these Official Rules due to an act of God, hurricane, war, fire, riot, earthquake, terrorism, act of public enemies, actions of governmental authorities outside the control of the Releasees (excepting compliance with applicable codes and regulations), or other “force majeure” events will not be considered a breach of these Official Rules. 12) Disputes: Except where prohibited, you agree that any and all disputes, claims and causes of action arising out of, or connected with, the Sweepstakes or any prize awarded shall be resolved individually, without resort to any form of class action, and exclusively by the appropriate court located in Bradley County, in the State of Tennessee. All issues and questions concerning the construction, validity, interpretation and enforceability of these Official Rules, your rights and obligations, or the rights and obligations of Sponsor in connection with the Sweepstakes, shall be governed by, and construed in accordance with, the laws of the State of Tennessee, without giving effect to any choice of law or conflict of law rules (whether of the State of Tennessee or any other jurisdiction), which would cause the application of the laws of any jurisdiction other than the State of Tennessee. 13) Winners List: For the name of the winner of this Sweepstakes, send a self-addressed stamped envelope, by November 31, 2017 to: Winners List, Thanks for Giving, Attn: Marketing Department, P.O. Box 550, Cleveland, Tennessee 37364-0550. THIS SWEEPSTAKES IS IN NO WAY SPONSORED, ENDORSED OR ADMINISTERED BY, OR ASSOCIATED WITH FACEBOOK, TWITTER, GOOGLE PLUS, ViralSweep, or Weber. All information submitted is to Sponsor, not Facebook, Twitter, Google Plus, or Viral Sweep. Any and all questions, comments or complaints regarding the Sweepstakes must be directed to Sponsor, not Facebook, Twitter or Google Plus.